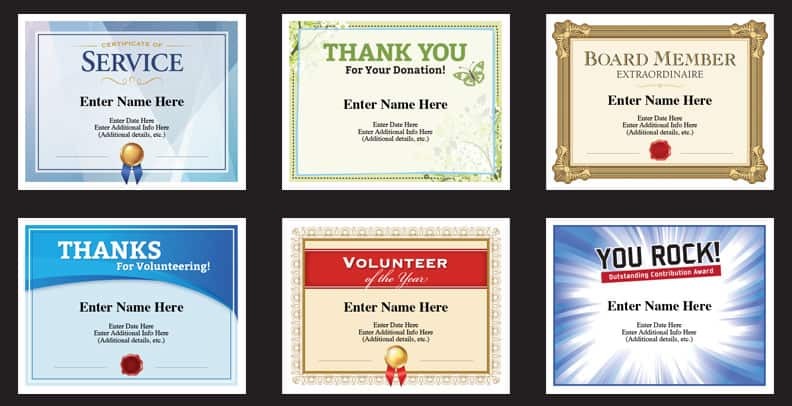 Non Profit Certificates – Every non profit organization has a lot of folks to thank for making everything happen. There’s staff members, volunteers, board members and donors. At various times throughout the year, each group and others likely need an expression of appreciation. Here’s your opportunity to say, “Thanks!” with style. These six certificates will let folks know that you care about them and appreciate their contributions of time, talent and treasure. At a group event, board meeting or other get-together, recognize the folks important to your organization with these classy certificates. Folks can frame them, or just hang them on cubicle walls, bulletin board, refrigerators and other display areas. With purchase, you’ll receive a link that will enable you to instantly download the PDF file featuring these 6 dance certificates. PDFs work on Macs and PCs. Just make sure you have the latest version of Adobe Reader (which is available for free). Be liberal with your praise. What keeps an organization together – staff members that are motivated and volunteers that are excited to come back – is the sense that they feel appreciated. Recognize their great work and contributions with these award certificates. Non Profit organizations personnel find themselves in a position of needing to express appreciation to a lot of different groups. It helps to be good at it. These certificates will make it a lot easier for you, and they’re very affordable. Use them time after time, year after year. Get ’em now! 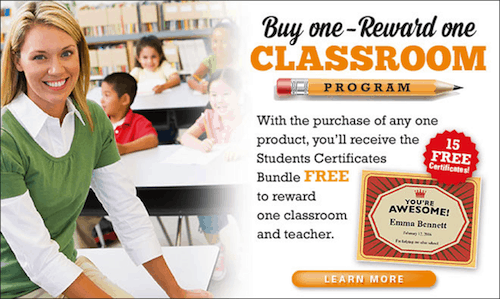 Purchase the Non Profit Certificates, and receive the Classroom Bundle FREE!